This is the annual celebration of the club, which marks the anniversary of the Club's formation. Our 2017 Charter Anniversary Dinner was on Saturday 13th May 2017 at the Heronston Hotel, Bridgend. This was our 42nd Charter Anniversary, celebrating 42 years since the club's formation. 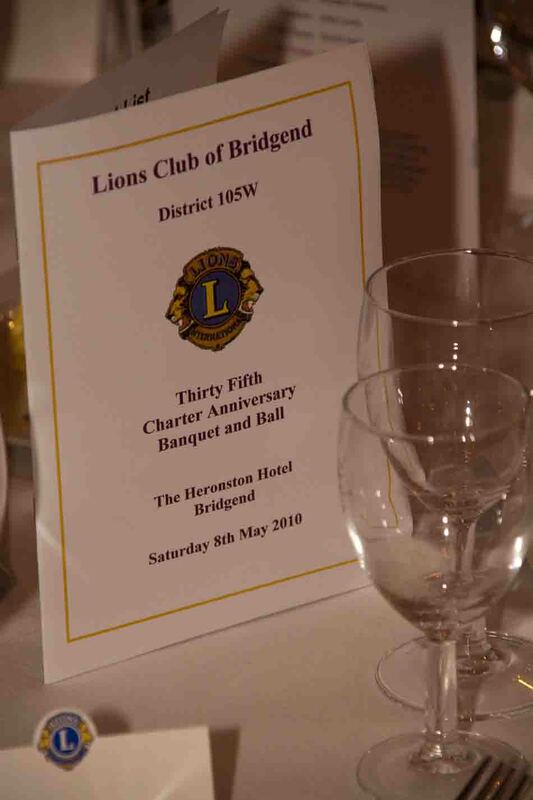 The evening takes the form of a formal dinner and dance, with speeches given by the President and Vice President of the Club and responses from the Mayor of Bridgend County Borough and the District Governor on behalf of Lions Clubs International (or their representatives) . Guests include members of most local Lions Clubs and from further afield from Clubs such as Chipping Sodbury, Dursley, Garforth and District and Glantawe.